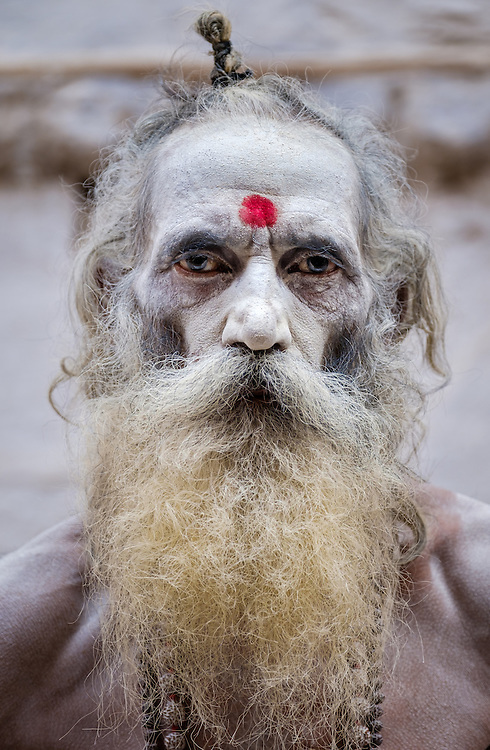 VARANASI, INDIA - CIRCA NOVEMBER 2016: Portrait of a Sadhu in Varanasi. The Sadhus or Holy Man are widely respected in India. Varanasi is the spiritual capital of India, the holiest of the seven sacred cities and with that one the most frequented places for Sadhus.